Have you been on the lookout for the absolute best hardwood floor refinishing Huntington Woods MI can offer? Look no more! Fabulous Floors Michigan has been refinishing the floor in Huntington Woods for years, and we have everything it takes to bring the shine of your floor back! Ready to change up the look of your home with beautiful refinished hardwood floors? Now is the best time to give us a call and get started on your next hardwood floor refinishing project. We specialize in hardwood floor refinishing in Huntington Woods, MI and are ready and willing to take on your next project. Our experienced technicians are trained in customer service and are very skilled when it comes to refinishing hardwood floors. Read what customers in your area are saying by visiting our testimonial page, or see what current coupons we are offering. 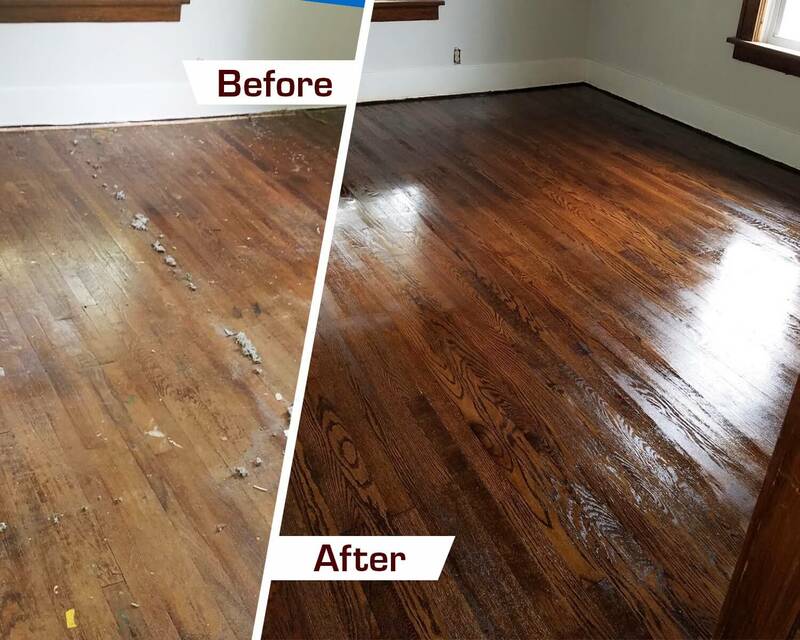 We can’t wait to restore beauty to your hardwood floors. Get in touch with us today! STEP 1 – Before we even begin, we like to give our customers an estimate of how much everything will cost. In some cases, we first remove any carpet that may have been covering your hardwood floors. We also make sure to remove all remnants of the carpet and pad from the hardwood. STEP 2 – Next, we sand the entire surface. We use a revolutionary sanding machine that is virtually free from any dust. Additionally, it is during this step that most of your scratches and dings are eliminated from your hardwood floors. Our technicians will be sure to sand by hand those hard to reach spots that our sanding equipment can’t reach. STEP 3 – After the sanding is done, we apply a stain of your choosing to your hardwood floors. We are careful to avoid any inconsistencies while we are staining your floors and will make sure it looks just right. We also have a selection of over 25 colors for you to choose from. STEP 4 – At the end of our process, we make sure to add a coat or two of polyurethane finish to ensure that your hardwood floors are protected a little better against future damage. Plus, it gives your floors a nice, polished sheen. We live in the Huntington Woods area too and want to make sure it says beautiful. We also want to make sure your family and pets are not harmed as a result of our service. For those reasons, we have made sure that all of our materials and services are eco-friendly and safe. You can have the peace of mind that our company as a whole is green certified and will give you the results you’ll love. Restore the beauty of your hardwood floors with our refinishing service in Huntington Woods, MI. Leave us a message on our website or call us today!